Queensland-based packaging manufacturer Zacpac has constructed a new 8,000 sqm packaging facility in Stapylton, near the Gold Coast, to expand production of its corrugated packaging, litho laminated packaging and litho cartons when it is fully operational in early 2015. The new $25 million facility, which is now operational, will employ 30 people by the end of this year and more than 100 workers in 2015, thereby increasing production and services from northern New South Wales to North Queensland. It will complement the company’s existing distribution warehouse on the Gold Coast and shorten turnaround times for customers based as far north as Cairns. “The latest expansion is all about living up to new clients’ expectations while maintaining service for our existing customers. Our customers expect us to deliver the most excellent of services, high quality, and the quickest possible turnaround, and we commit to delivering exactly that from order placement to delivery,” said Director John Zac. The facility is being equipped with a BCS Autobox automated custom box maker supplied by DES, which can manufacture boxes in any size or shape that the customer requires by shifting from one style or size to another automatically. “As we introduce a new machine, we install it and get it up and running. So we are slowly adding the next machine, and the next, and so on, to get production going at the new site. A project like this does not happen overnight. We will begin employing new staff as we add new machinery, and with each new machine we install, we will need more people at the company, thus creating more jobs,” said Mr Zac. 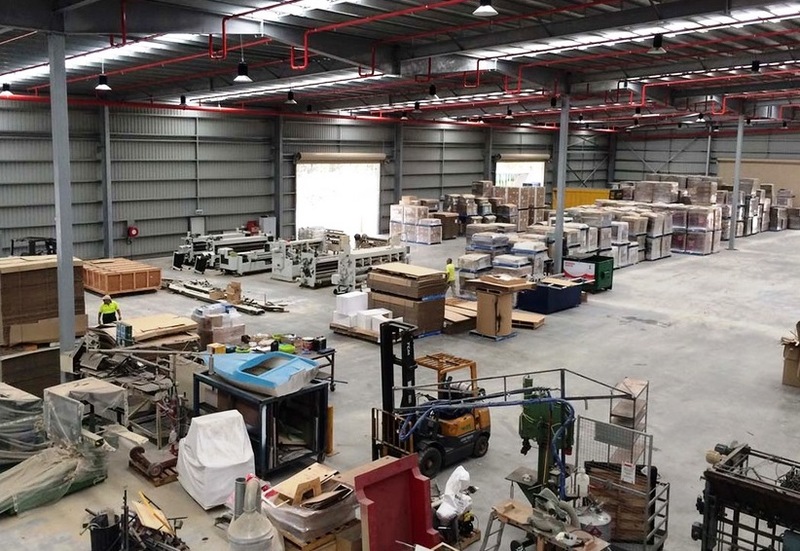 This family-owned company is the recipient of the first full installation of this kind in Australia, and the machine at the Stapylton plant will produce boxes for the whole group. “The machine suits the company’s focus on shorter runs, which sets them apart from larger competitors who accept only high volume, high output jobs. As well as our big multinational clients, our customers also include mum and dad businesses working out of rental factories, who may only order 150-200 boxes at a time,” added Mr Zac.